After the recent media frenzy surrounding the news of John Terry being stripped of the England captaincy, the last thing the nation needed was a further destabilising setback just four months before the European Championships 2012 gets underway. Yet Wednesday evening’s announcement that Fabio Capello’s resignation as Manager had been accepted has sent the country’s preparations for Euro 2012 back to square one. Firstly, Capello’s record as England Manager is not as bad as the British tabloids would have you believe. Fans that are capable of forming their own opinion should look to the facts. England qualified for both major tournaments that were entered under Capello’s reign. To ensure a little perspective, this came immediately after Steve McClaren failed to ensure England qualified for Euro 2008. In 42 games in charge of England, Capello’s team won 28, drew 8 and lost 6. His England side qualified for the World Cup in 2010 with 9 straight wins followed by a 1-0 defeat to Ukraine once qualification was already assured. The team didn’t look comfortable at the main event in South Africa, with the poor form of talisman Wayne Rooney one of several reasons for England’s unconvincing performances, culminating in an emphatic 4-1 defeat at the hands of what I consider the best Germany team since their 1990 World Cup winners. Back to another qualification campaign, Capello’s England remained undefeated throughout qualifying for Euro2012 and finished top of the group again. He also masterminded a 1-0 win over world champions Spain in November 2011. So all things considered, I fail to see why the tabloid newspapers seem to have started their usual England Manager witch-hunt over the last few months. 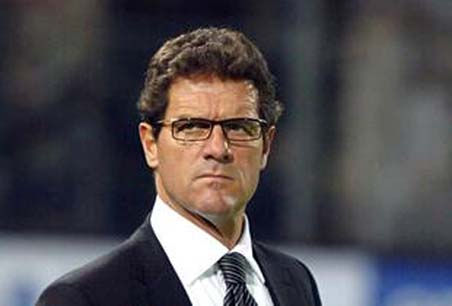 Capello’s frustration is perfectly understandable. As Manager of the team he should have had the final say on team decisions, including who is the captain of his team. The FA recklessly intervened and in doing so arguably undermined Capello’s authority. Capello’s comments to the Italian media where hardly offensive towards his employers. He disagreed with the decision but didn’t criticise the FA. He spoke of the common concept of “innocent until proven guilty”, which the FA ignored when deciding Terry would no longer captain England. If Terry is deemed fit and available to play for the national team, then he should be able to wear the armband too. Whenever a team goes out on the field representing England (or any nation for that matter) they should all be leaders once they cross the white line. And no doubt Terry would have continued to be a vocal leader of the team after the inevitable support that Capello would have given him going into the Euro’s this summer. My own view is that Terry shouldn’t be in England’s starting eleven. But that is based solely on his form for Chelsea this season – his deteriorating ability to physically dominate opposing centre-forwards and his lack of pace being exploited more and more frequently as time goes on. That said, I suspect Capello was more than happy to be going into the France game to kick off England’s tournament in June with John Terry as his captain, his first-choice centre-back and his leader on the pitch. For the FA to be paying Capello a reported £6million per year salary, and then go over his head to make a decision like this that directly influences his ability to prepare what would have been his squad going into a major tournament, is absolutely ridiculous. And sadly, it encapsulates all that is wrong with the Football Association in this country. I fear that until big changes are made at the top of the organisation that runs our national game, further untimely mistakes like this will only be repeated. More respected figures, perhaps former players, that understand the game and have experience of how football works, are clearly needed and such figures need to be involved in key decision-making if future disasters like this are to be avoided.